TOPSELL USB Flash Drive: 1. 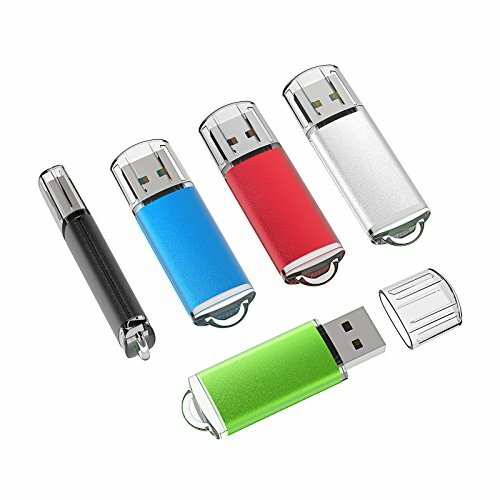 We are professional USB Flash Drive manufacturer. 2. We provide new style and high quality USB Flash Drives. 3. Size: 58 *16*8mm 4. Available Capacities: 1GB, 2GB, 4GB, 8GB, 16GB,32GB 5. 5 Color:Black Blue Green Red Silver Tech Specifications: Chip: Grade A Interface Type: USB 2.0 Compatible (Backwards compatible to USB 1.1) Compatibility: Desktop, Laptop, Macintosh, Tablet, Speakers all with USB port Operating System: Windows 7/Vista/XP/2000/ME/NT/98, Linux and Mac OS Operating Temperatures: 32°F to 140°F (0°C to 60°C) Storage Temperatures: -4°F to 185°F (-20°C to 85°C) Package Included: 5 x 16GB USB Flash Drives Service: Thank you for choosing our products. If you have any problem during shopping, please do not hesitate to contact us. We are striving to be a trusted partner and seek to achieve 100% customer satisfaction.